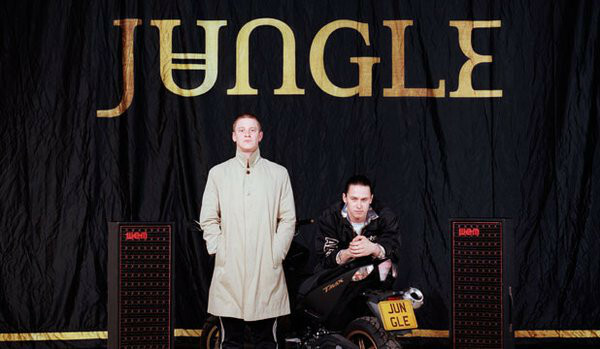 It is slightly concerning to me that it is 4 years since I heard and fell in love with Jungle and their earliest releases, most notably “Busy Earnin'” and as I enjoy typically funky and superbly produced new release “Beat 54”, I have to question where the time has gone and what I have done with it…. Without question in the same time frame, Jungle have continued to hone their craft following their Mercury Prize nominated debut. “Beat 54” is cool, slick and a pleasure to listen to. New album “For Ever” also comes recommended and is out now. Tom McFarland (right) and Josh Lloyd-Watson (left) are back with their second album as the brilliant Jungle. 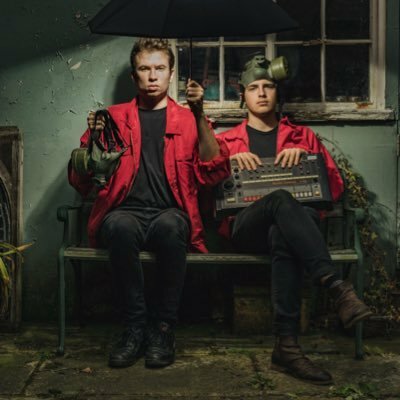 Commencing as little more than “a bit of fun on a laptop in a bedroom” APRE have gained much positive attention in not much time, including reviews for their live appearances. The London duo are multi-instrumentalists and take inspiration from the likes of Foals, Bombay Bicycle Club and Tears For Fears, which all make them more than OK by us. Smart, multi-talented duo APRE are one of the most talked about new acts of 2018. I remember a time when the bands of the moment would wear Ramones, The Beatles, The Rolling Stones or AC/DC t-shirts, I also remember a time when these were complimented by Nirvana, Primal Scream and Metallica and even the introduction of Oasis or Blur; to see an image of Bloxx where front-woman and guitarist Ophelia wears a Catfish and the Bottlemen t-shirt has, in truth, made me feel rather old… Bloxx are completed by Taz, Paul and Moz producing contemporary indie pop with a familiar warmth to anyone who grew up in the 90’s. Unlike the day of it’s inspiration, “Monday” zips by and is gone before you know it, leaving you, like the very best artists, wanting more. Young enough to make you feel old, familiar enough to make you forget that you are. You know what you are going to get with David Guetta, chart friendly, dance beat driven fodder, oft complimented by a familiar and successful pop voice. 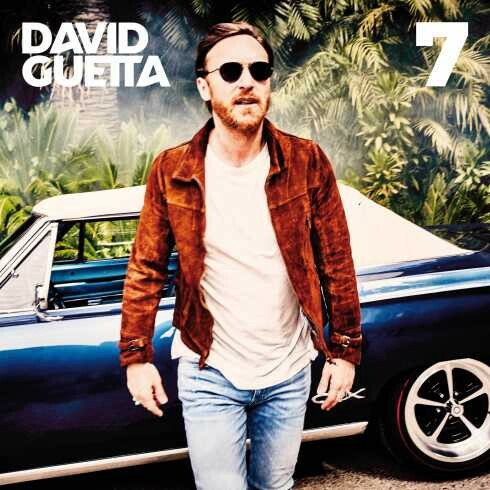 With “She Knows How To Love Me” Guetta is playing his usual trick of playing to the populist crowd, adding to distinctly early 00’s R&B inspired fanfares a C&C inspired break and even a slightly jarring grime section. Fans will love it, those requiring converting will probably skip. David Guetta, a DJ and producer playing to the crowd. 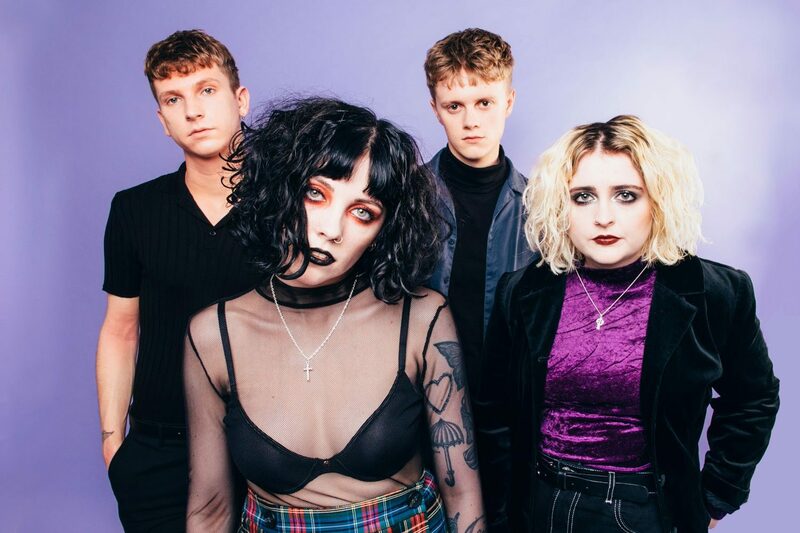 Featured in our inaugural Jukebox blog, Pale Waves make their second appearance with an easy-listening, uptempo pop anthem in “One More Time”. Heather Baron-Gracie’s beautiful voice is occasionally broken up with digital vocal effects to give this track a more “produced” feel than previous works, but Pale Waves are a perfect pop band for 2018 who will please both lovers of a more alternative scene and those more used to the produce of commercial radio. Pale Waves, perfect proper pop. The second former Mercury Prize nominee in today’s list, Villagers are now on their 5th studio album with the imminent release of “The Art of Pretending to Swim”, from which comes the gentle and comforting “Again”. Picked guitars and lazy piano accompany the soft voice of Conor O’Brien. If you’ve not heard Villagers before, they are perfect for fans of Ben Howard, Laura Marling or previously featured Jukebox artist, John Grant. 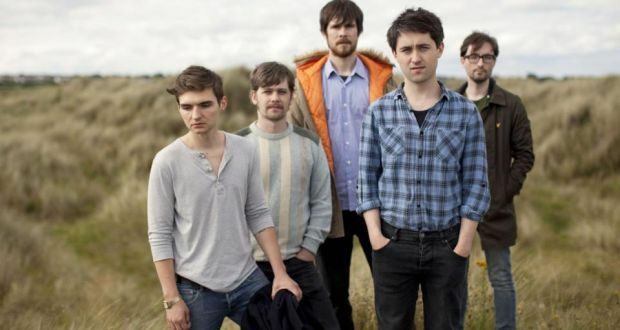 Villagers, beautiful, ethereal pop from Dublin. 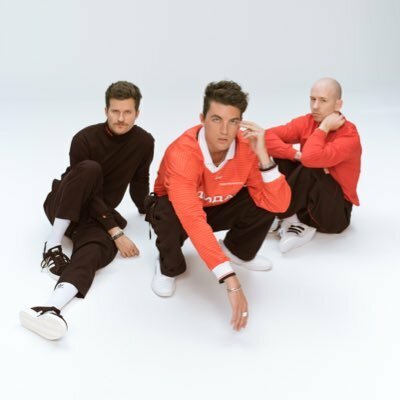 Hollister-store-friendly LANY really do evoke their LA home through their music which predominantly revolve around love and loss. 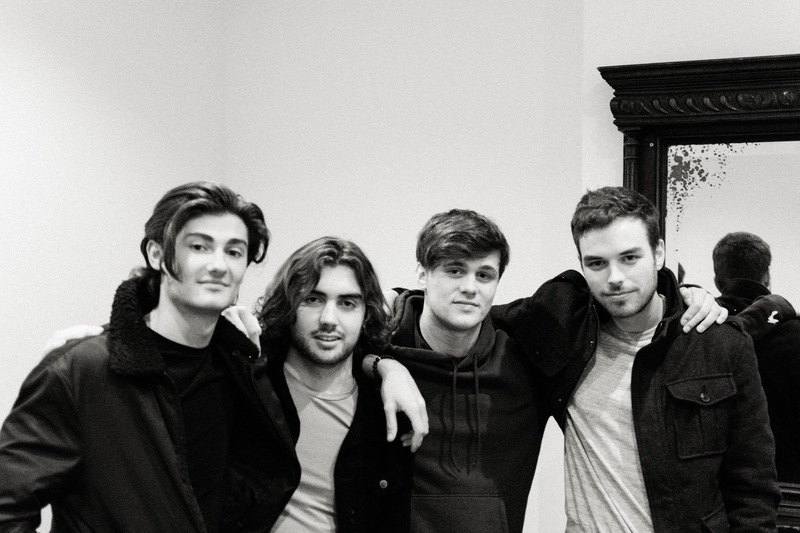 Their debut self-titled album was only released last year yet second release “Malibu Nights” is due in early October. Judging by “Thick and Thin” the band aren’t deviating from a familiar trope and so if you like it, their recent back catalogue will be worth a look. Los Angeles packaged up in musical form in LANY. Most famous for their big 2015 hit “Darkest Ocean”, “Hell of a Party” shows that Conor Adams and Lar Kaye are a diverse writing duo with a name that belies it’s raucous-sounding title. A minimalistic style combining electric guitar with an electro beat that will fail to rouse the masses in the way of “Darkest Ocean”, but is well put together nonetheless. With a personal fusion that may just be Cardiff Devils utopia, Estrons are fronted by Welsh-Canadian Tali Kallstrom. The band name is Welsh for ‘misfit’ and the band seem keen to avoid stereotyping, describing some journalistic claims they are a punk band as “lazy”, preferring “heavy pop”. From “Body” alone, it is clear that Estrons bring a myriad of influences and Kallstrom admits to enjoying both rap and opera along with much in-between. Keen to bring a level of female empowerment most commonly associated with the likes of Missy Elliot to the world of rock, Kallstroms lyrics have a deliberately sexual tone and combined with founding member Rhodri Daniel’s “logical and scientific” approach, her impulsive, emotive nature have found a complimentary writing match. 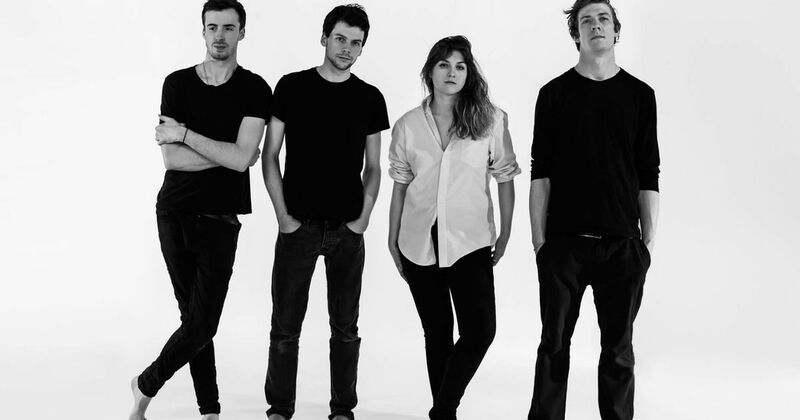 Fronted by Welsh-Canadian Tali Kallstrom, Estrons might be catnip to Devils fans. 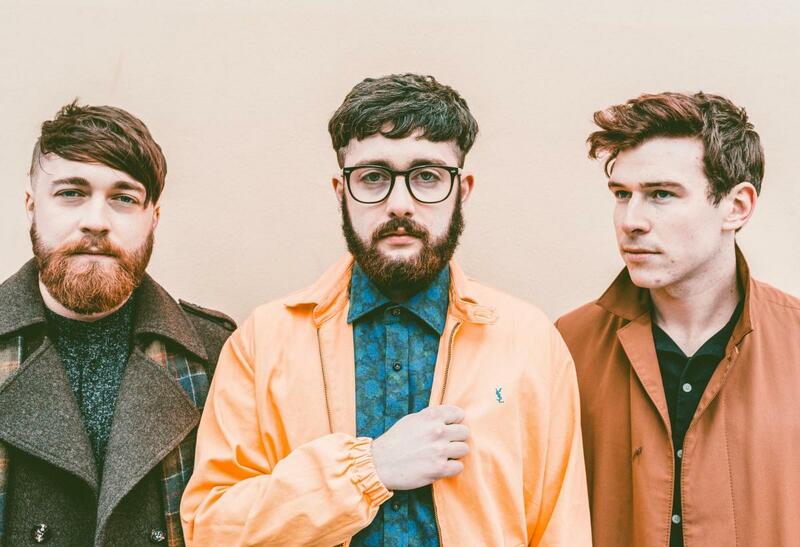 It may be tough to find a more impressive list of alternative music stalwarts than that of Fatherson in their short career thus far; Biffy Clyro, Panic! at the Disco, Feeder, Twin Atlantic, Enter Shikari, Idlewild and the tragically late Frightened Rabbit have all shared crowds with the band who, with new release “Sum Of All Your Parts” are now on their 3rd studio album. “The Landscape” is emotional and immersive fare comparable with the very best of their genre peers. Kilmarnock’s Fatherson, adding to Biffy Clyro’s legacy of putting their town on the map in the best way. 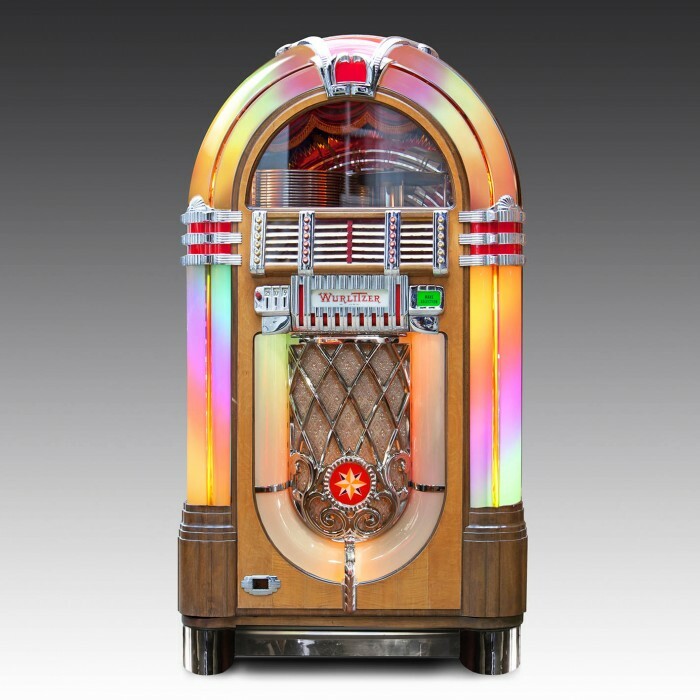 One of the joys of putting together this weekly Jukebox is getting to listen to a spectrum of music that may otherwise not be heard. To use this opening to describe “Swimming at Night” and Django Django could be misconstrued and so to be clear, we think they are a very good band indeed, but more than that, they are actually vital to the evolution and progression of popular music. They sit off the beaten track, like Tool in metal and alternative, Kraftwerk in electro and dance, N.W.A. in hip-hop, or even the most transcendent and influential historic figures such as Bowie and The Beatles, music needs bands and artists that will do something different and in pop, Django Django do exactly that. 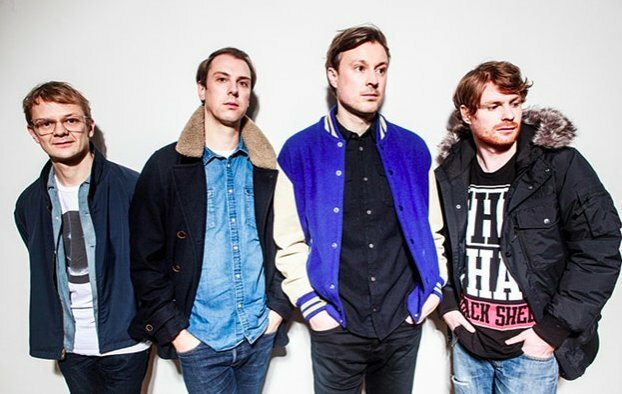 Django Django, essential, progressive pop. The 4Music stage, V Festival Chelmsford 2009 and this writer has a diminutive stranger on his shoulders who is essentially raving on his unexpected pedestal to “Shut Up And Let Me Go”. The Ting Tings were at the height of her early powers and as my neck will attest to the next morning, so was my festival friend. 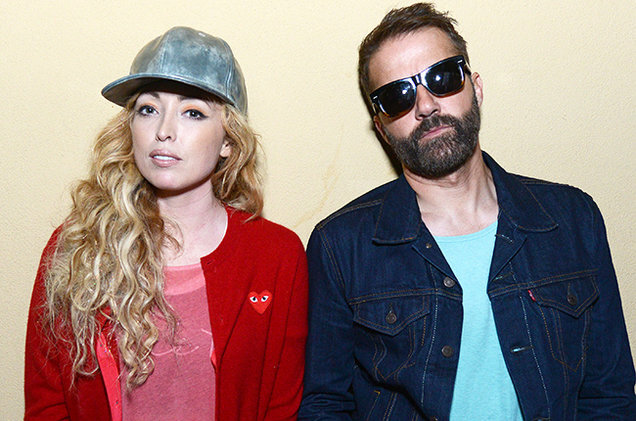 From becoming one of the biggest British bands of the time, The Ting Tings disappeared into relative, continental obscurity. Now, full of renewed gusto, Katie and Jules are back with new music and a new album due in late October, for which “Blacklight” becomes the tease. All the energy and songwriting skill is still there and I hope that this album is the catalyst for a future festival and some new diminutive person ruining my neck. Katie and Jules, back, much to the delight of my chiropractor. The reason “legend” and “genius” are considered overused phrases is because they are. Paul Weller is 26 albums into a stellar, uniquely influential career and in “True Meanings” he has surprised and delighted in equal measure, once again. 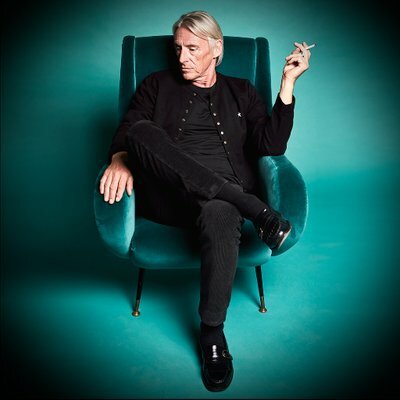 From his forthright and institutionally challenging origins Weller now exists in exalted company which enables unchallenged creative freedom. “Gravity” is beautiful, surprisingly so and should be enjoyed both for what it is and for the wonderful representation of the evolution of a legend. Paul Weller. Cool then. Cool now. Cool tomorrow. Peterborough and Birmingham are complimented by Chicago in this relatively new and increasingly followed band. 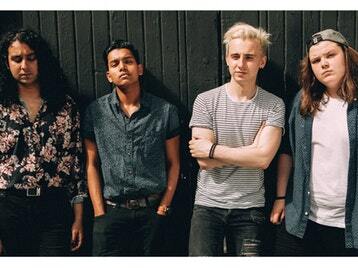 Given a preemptive billing of future success comparable with Nothing But Thieves, Catfish and Circa Waves, Airways are already held in high esteem. Should they enjoy a future like any of their named peers, they will likely be delighted – “Alien” is your gateway to being able to “remember before they were famous”. Trans-continental Airways, a band someone will tell you about, if you don’t already know. On tour next month across the UK, we implore you to book in to see Cassia. Fans of the likes of No Hot Ashes (see “Goose”), The Magic Gang (see “How Can I Compete”) will be well served here and as the autumn digs in it’s heels, the summery, festival friendly “Loosen Up” will have you pulling out your floral headband and printed t-shirt, even if those wellies may be required more than ever. Summer, for the autumn generation, in Cassia. Billy Corgan is now 51 years old and yet “Silvery Sometimes” sounds as relevant with the clarity of communication to angst as anything that has come before over The Smashing Pumpkins decorated career. 15 other tracks and their architects dream of the success and critical acclaim of Corgan’s unique Chicago outfit and few, if any will secure the level of fan devotion that his unique sound and melancholic voice can command. 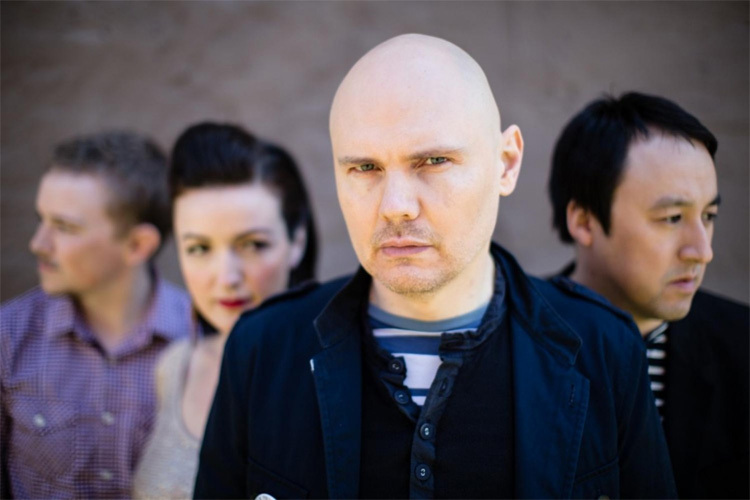 The Smashing Pumpkins, 30 years doesn’t stop them being front and centre of the alternative music scene. This entry was posted in General Blogs and tagged AC/DC, Again, Airways, Alien, All Tvvins, APRE, Beat 54, Belfast Giants, Ben Howard, Biffy Clyro, Billy Corgan, Birmingham, Blacklight, Bloxx, Blur, Body, Bombay Bicycle Club, british bands, Busy Earnin', C&C, Canadian, Cardiff Devils, Cassia, Catfish, Catfish and the Bottlemen, Chelmsford, Chicago, Circa Waves, Conor Adams, Conor O'Brien, coventry blaze, Darkest Ocean, David Bowie, David Guetta, Django Django, Dublin, dundee stars, EIHL, Enter Shikari, Estrons, Everybody Loves You, fashion, Fatherson, Feeder, Fife Flyers, Foals, For Ever, Frightened Rabbit, Funk, Genius, Glasgow Clan, Goose, Gravity, grime, guildford flames, Heather Baron-Gracie, heavy pop, Hell of a Party, Hollister, How Can I Compete, Ice Hockey, Idlewild, influential, Jess Glynne, john grant, jukebox, Jules, Jungle, Katie, Kilmarnock, Kraftwerk, LA, LANY, Lar Kaye, Laura Marling, Legend, live, london, Loosen Up, Malibu Nights, manchester storm, Melancholy, Mercury Prize, Metallica, misfit, Missy Elliot, mk lightning, Monday, Moz, multi-instrumentalist, music, N.W.A., Nirvana, No Hot Ashes, nothing but thieves, Nottingham Panthers, Oasis, One More Time, Ophelia, pale waves, Panic! at the Disco, Paul, Paul Weller, Peterborough, pop, Primal Scream, r&b, ramones, Rhodri Daniels, She Knows How To Love Me, Sheffield Steelers, Shut Up And Let Me Go, Silvery Sometimes (Ghosts), Soul, Stefflon Don, Sum Of All Your Parts, Swimming at Night, Tali Kallstrom, Taz, Tears For Fears, The Art of Pretending to Swim, The Beatles, The Landscape, The Magic Gang, The Rolling Stones, The Smashing Pumpkins, The Ting Tings, Thick and Thin, Tool, True Meanings, Twin Atlantic, Uptempo, V Festival, Villagers, Welsh. Bookmark the permalink.